We are proud to offer so many great options at Midtown Toyota. Our Toyota dealership in Chicago, IL wants you to have plenty to choose from no matter what kind of vehicle you want. So we are happy to say we have many different hybrid models for those looking for a more environmentally conscious vehicle. The Toyota Camry Hybrid is a midsize sedan that has three trim levels. It is powered by a 2.5-liter four-cylinder engine that is paired with an electric motor to get up to 200 horsepower. The LE trim level starts off with many great features, like the 6.1-inch touchscreen display and the Entune Audio interface. The SE adds on sport features like a rear spoiler and a sport-tuned suspension. As for the XLE, you can enjoy an integrated navigation system and a forward collision warning system. There are also many optional features on the lower trim levels to add more comfort and convenience features to the 2017 Toyota Camry Hybrid. The 2017 Toyota Avalon Hybrid model is another sedan for those looking for a hybrid vehicle. It comes in three trim levels. The base XLE Plus trim gets a sunroof, leather seating, and many advanced safety features like the forward collision warning system that will make you forget you on are the base trim level. The XLE Premium steps you up to items like rear cross-traffic alert and blind-spot monitoring. The Limited tops you out with upgraded leather upholstery and automatic wipers. The Toyota Avalon Hybrid is powered by a 2.5-liter four-cylinder engine that is paired with an electric motor that gets power from a trunk-mounted battery pack. Between the two, it gets 200 horsepower and is paired with a continuously variable automatic transmission. The 2017 Toyota RAV4 Hybrid is a compact crossover that gives you an even more fuel efficient option for the size. The power comes from a 2.5-liter four-cylinder engine that is paired with an electric motor and a continuously variable automatic transmission. This puts out 194 horsepower combined. You will also get the choice of three different trim levels for this model. The XLE trim level gets features like a reclining rear seat and dual-zone automatic climate control so everyone in the vehicle is comfortable. The SE brings on items like heated front seats and a power liftgate while the Limited brings on front and rear parking sensors and more for added safety. The 2017 Toyota RAV4 is perfect for Chicago drivers who want an SUV that’s easy to maneuver in the city and saves money at the pump. We invite you to head into our Chicagoland Toyota dealership today. 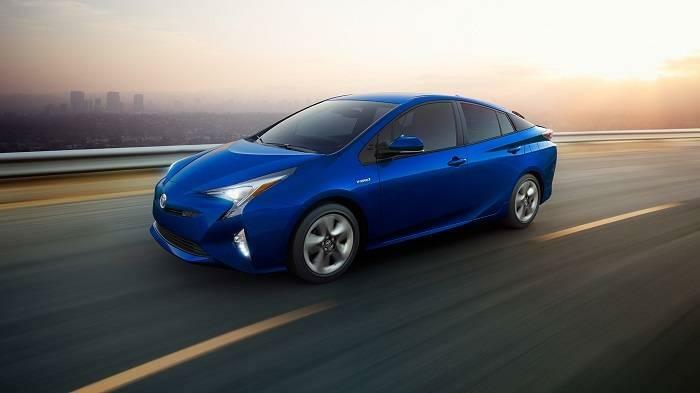 We would be happy to help you find the hybrid vehicle that has everything you are looking for so you don’t have to compromise. We also have a great selection of pre-owned Toyota vehicles to choose from, including some pre-owned hybrid cars. Our team will provide you with top-notch customer service while you are car shopping, so head to Midtown Toyota soon!